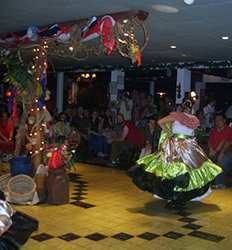 The Central Valley of Costa Rica is also the center of culture in Costa Rica. 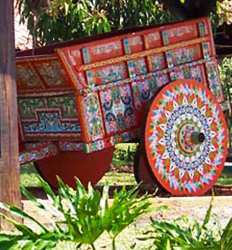 From folkloric shows, coffee plantations, San Jose city tours and the Oxcart capital of Sarchi, San Jose sightseeing tours have something for everyone! So you have landed in San Jose and are you ready to explore the best of Costa Rica? Let us help guide you with our selection of sightseeing tours in San Jose. If you are going to be spending time in San Jose, what better way to get to know the city than on our Highlights of San Jose City tour! How about a night on the town? Our Ram Luna dinner show combines a folkloric show 6 cultural fiesta with spectacular views from high above the city. Breathtaking! 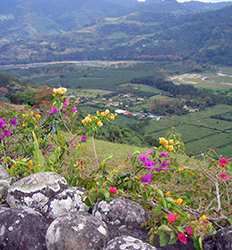 There is nothing that has shaped the modern culture of Costa Rica more than coffee production. 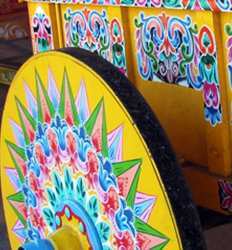 See for yourself on one of our San Jose sightseeing tours out to the Doka Coffee Plantation, then visit Sarchi which is home to the beautifully painted oxcarts that were used to cart the coffee into the city. Winding through country roads more you sightseeing style? We have the perfect sightseeing combos that take you through the lush hills of the Orosi Valley and stop off and wander through of the gorgeous Lakester Gardens. Don't forget to add one of Costa Rica's famous volcanoes such as Poas or Irazu Volcano into your sightseeing tour for the ultimate one day tour. At The Real Deal Tours you can book knowing you are getting the best deals in Costa Rica on the best sightseeing tours in San Jose. Browse through our list of San Jose sightseeing and cultural tours in Costa Rica below and choose your favorite cultural experience! When you think of Costa Rica, beaches, volcanoes, rainforest, rivers and sustainable tourism all come to mind. But what about the heart of Costa Rica, its people and its culture that have allowed all that is beautiful in this country to flourish? We bring you to San Jose and its historic district. 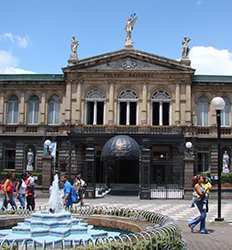 Highlights of San Jose City Tour deposit is $15.00 per Adult and $10.00 per Child. 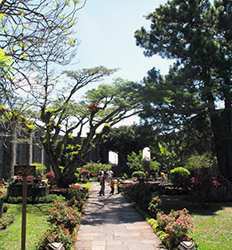 The Doka Coffee Plantation is located on the fertile slopes of the Alajuela Poas Volcano. The rich soil and ideal altitude and climate have made them famous for their outstanding coffee. The main objective of this Costa Rica Coffee Tour in Costa Rica is to educate and inform local and international visitors about the entire coffee production process.! Treat yourself to a delicious dinner accompanied by a cultural show, with an open bar and great company. Ram Luna cultural fiesta and dinner show includes all this with an impossibly divine view from the top of the world….ok well the top Costa Rica´s central valley anyway but spectacular none the less.